On my walk around the weekly farmer's market, I noticed lots of people stopping for a break of one kind or another. 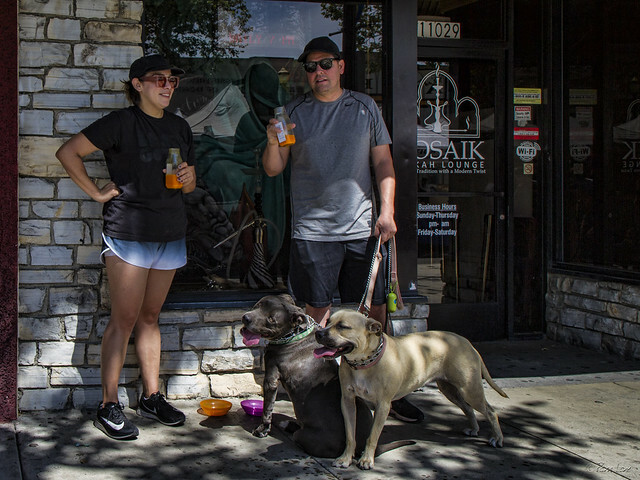 Jason and Vanessa were enjoying their drinks in the shade while giving their pit bulls Cora and Spartacus a water break. Cora is friendly and playful and enjoyed my head scratches. Spartacus, a little bit older and a little more reserved, just kept a close eye on me.